Studio A and our internship program would not have been possible without a generous start grant from the Susanne Marcus Collins Foundation. Thanks to the support of the Susanne Marcus Collins Foundation, this vision for Studio A has been realized, creating the opportunity to partner with the LGBT Center and the Ali Forney Center (through the LEAP Program) to launch our internship program. The successful launch of Studio A and the announcement of the internship program has attracted additional support from other foundations and numerous individual donors through our first successful Season of Giving campaign in the Fall 2016. And we are actively working to identify other companies or partners to expand the intern program through Ali Forney, hire former interns or otherwise create new opportunities for these youth. 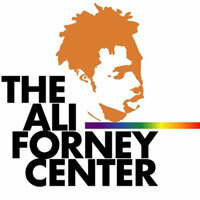 Thanks to the continuing major support of the Susanne Marcus Collins Foundation and engagement with the LGBT Center and Ali Forney Center, we look forward to many years of growth and successful to come. If you would like to partner with us, contact our studio manager Katie and she will get back to you.